Anastasio Tovar Rose is a self-made hairstylist, building and owning his own Salon from the ground up for 17 years. After graduating from beauty school in 1996, he has spent his career specializing in makeovers, cuts and color, and his most favorite work; kids cuts; earning his way to a Wella Young Stylist Finalist in 2000. His career has allowed him to participate and attend hair and color shows in Europe and the United States. He is a classically trained hairstylist, focused in the Jacques Dessange, Vidal Sassoon, and Toni & Guy cutting techniques; also holding several color certificates for technique. His clients are from all walks of life; which is just the way he likes it. So after 25 yrs in this industry 3 things have been a constant. My commitment to my clients, because the smile at the end is priceless. My commitment to education, always learning and growing to be the best stylist for my clients, colleagues and myself. Sharing is so important in this industry. And lastly promise to myself that when I stop loving what I do I'll move on. So I don't see that happening soon! Do what you love. Love what you do! Kaleh Barbour has been practicing hair for 10 years. Starting right out of high school at Lytle’s Redwood Empire Beauty College, graduating and landing at La de da Salon where she has built her career and a family. She is an accomplished Label M ambassador, specializes in color, and hair care. She stands by her philosophy of achieving a desired look with out damaging the canvas. 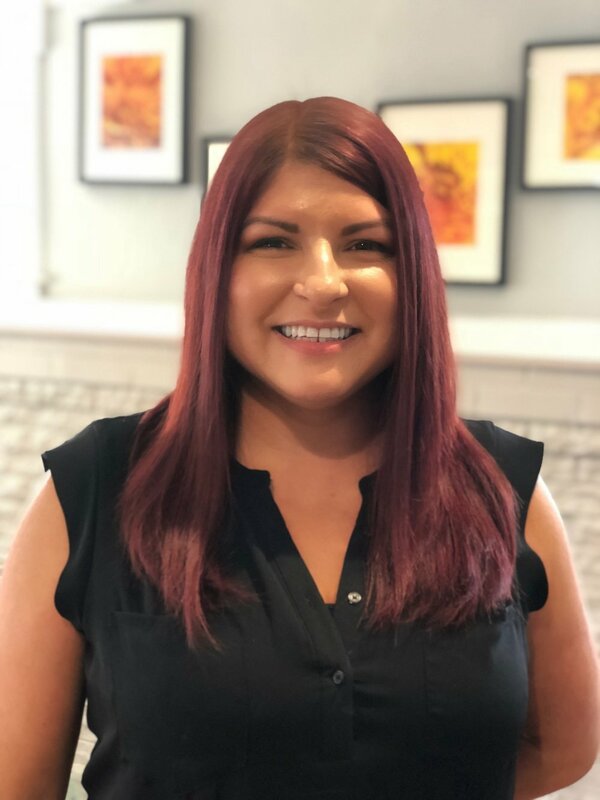 What Kaleh loves about hair is the ability to connect with another human while making their hair dreams come true. What I love about being a stylist is taking that perfect look you envision, and making it a reality. I see all kinds of people, young, old and in between, but they all have one thing in common, they want to look and feel their best! My new adventure into the world of extensions has led me to find a new passion within the hair industry…. the satisfaction of giving women the hair of their dreams through NBR™️ Extensions is truly unique. Come share your vision with me and let’s bring it to life. I love big, fun, flirty hair; and to me hair is the best every day accessory. When your hair is right, everything else just falls into place.